When light shines directly into your room it can produce uncomfortable glare, particularly in the summer months. Sunshade integral Venetian blinds are a great way to filter the light and our Venetian blinds have adjustable louvres that tilt to give you greater control, providing the perfect solution. Sleek and simple Sunshade integrated Venetian blinds filter light coming into your room beautifully, offering a great way to play with shade and colour using Industry Leading Quality Standards. Our reputation rests on every blind we make. And we want you to be completely satisfied with everything we do for you. We know how much care and attention has gone into each and every one, that why we’re happy to offer a full guarantee. 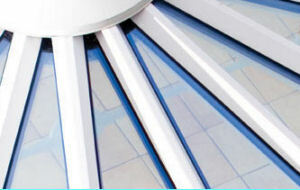 Renowned for our stringent testing, Sunshade sets the quality standards within the window blinds industry. No other manufacturer performs more tests and checks to ensure their products will withstand the demands of every day use, year in, year out. A conservatory is a wonderful addition to a home, providing much needed space and a place to get away from it all. Add our made-to-measure Sunshade integral Venetian blinds in the windows and doors and the results will be distinctive and desirable, with practical benefits too including control over light, shade and temperature, as well as being dust and dirt proof. Bathroom windows are generally small but provide an opportunity to add colour and character. 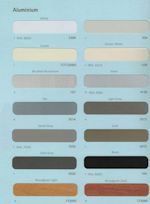 Blinds you choose for your bathroom need to be hardwearing and practical enough to ensure they won’t warp under the moist and steamy conditions. Our range of Sunshade integral Venetian blinds are the perfect choice, thanks to being entirely contained within the sealed units the blinds are totally impervious to water, dust and damage, and they look great. An important part of the home for encouraging families to communicate more, the dining room can also double up as a study, providing plenty of space to get homework done and the perfect spot for a laptop. For the windows you need a versatile option that can easily create an intimate atmosphere for a romantic meal or a light and airy space for studying. 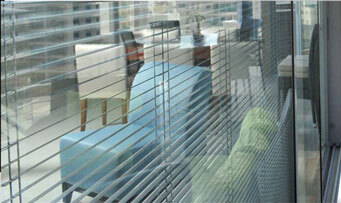 Elegant integral Venetian blinds are timeless, and suit all types of homes and styles. They’re perfect for windows and doors, enhancing rather than covering up the views. With a range of fourteen colours, including Woodgrain prints to blend in with other wood in the room, you have plenty of choice for a fresh look or to lighten up the overall mood. This most practical room of the home also acts as our own personal retreat – a place to relax and get away from it all, that should always feel light and airy and that needs to offer just the right level of privacy, so sealed unit blinds are a great solution. As well as exposing our materials to extremes of temperature, we also check for resistance to fading. It’s not just the fabrics that need to be checked, the components are put through their paces too. And just as important is ensuring the manufacturing method is sound, with intensive trials to fine tune the process for a beautiful end result, guaranteed to stand the test of time. RoSPA (The Royal Society for the Prevention of Accidents) has been running a campaign since 2004 for the window blind industry to take voluntary action to reduce the risk posed by looped cords. RoSPA’s has constantly highlighted its own research that shows there have been at least 27 deaths across the UK due to looped cords since 1999 (14 of which have occurred since the start of 2010). RoSPA have announced that on 20 February 2014 new European standards were published three new European Standards (EN13120:2009+A1:2014) to will help manufacturers to improve the safety of window blinds. These standards are aimed in particular at reducing the risk of accidents associated with the cords that are used to operate window blinds. 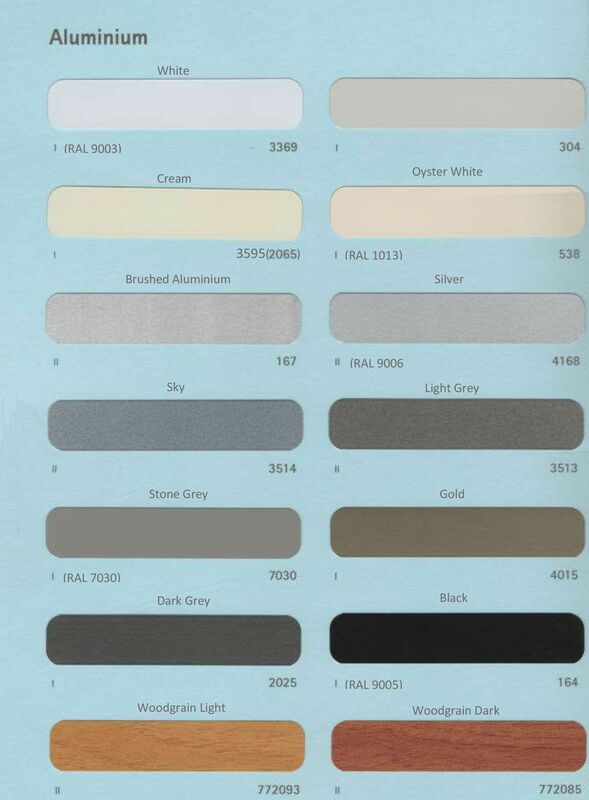 The original European standard published in 2009 have been amended by the new standards. 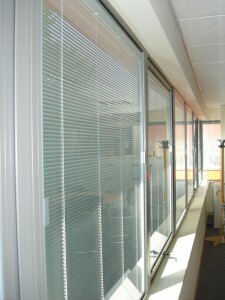 The scope of the standards have been extended to cover almost all blinds operated by cords. The standards state that new blinds must be “safe by design” or be supplied with the appropriate child safety devices installed. 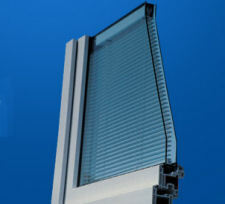 ♦ If there is a loop fitted to a blind then it should be fitted during the manufacturing process with a safety device that will break under pressure. ♦ Blinds must be supplied with safety devices to secure the cord to a wall so it does not hang free. The standard also imposes a maximum cord and chain length. All blinds must also continue to carry safety warnings. The main standard is supported by two additional standards: EN 16433:2014 and EN 16434:2014 which relate to testing requirements. So why are Sunshade Blinds Integral Blinds safer? ♦ There are no cords with Sunshade Blinds because our blinds are operated with a slide on the frame. There is no cord that a young child or toddler can tangle round their neck and harm themselves with. 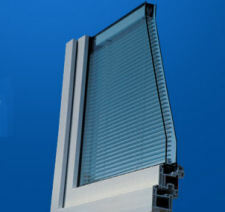 ♦ Sunshade blinds and their mechanisms are sealed inside the glazed unit and the frame respectively. So besides not needing cleaning or maintaining they have no mechanism that can harm a young child.